ADS, an Australian owned and operated business, specialising in an extensive range of display and shelving solutions, is assisting stores across the country show off their wares with the Mustang Cable & Rod System. Stores across Australia are always on the lookout for new ways to display their wares and many are turning to ADS Advanced Display Systems for the next generation of Mustang System display and shelving solutions. The company offers a wide range of slat walls, slat wall fittings, gondola retail shelving and crowd control stands that can be used in a number of store display applications. 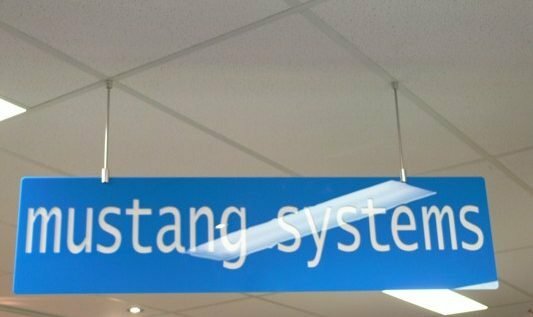 One of the most popular suspended display options is the Mustang System product range,designed to be stronger, more durable and more aesthetically pleasing when compared to other similar products on the market. Products such as home wares and gifts can be stylishly displayed using the stainless steel rod or cables along with glass shelves for a versatile merchandising solution. A number of display options and variations can be achieved by using different components. To see a full catalogue of the Mustang System displays and to see photos of the displays in action, visit the ADS Advanced Display Systems website at www.advdis.com.au.